Asuquo, who has signed for an Ethiopian gymnastics club, said he opted for the East African side because he felt unappreciated by his country. Nigeria is losing her best hands in diverse sectors every other day and sports is not left out of the brain drain. Now, Tony Asuquo, an International Federation of Gymnastics (FIG) certified coach has joined an Ethiopian club; claiming his country Nigeria does not respect him. Asuquo, who is on a six-month deal contract with the Ethiopian gymnastics club, said he opted for the East African side because he felt unappreciated by his country. “I am not comfortable with events happening in the Gymnastics Federation of Nigeria (GFN) where I am a board member,’’ Asuquo disclosed. The aesthetics and aerobic gymnastics expert said he had just finished the medical session with the club and would be on a six-month renewable contract from August this year. “It is just a pity that my efforts and wealth of experience are not appreciated in Nigeria, but I prefer to work for Nigeria,’’ Asuquo who did not disclose the name of his new club “owing to personal reasons’’ said. Coach Asuquo was a Lagos state gymnast who has represented the state and Nigeria in both National and International gymnastics championships. 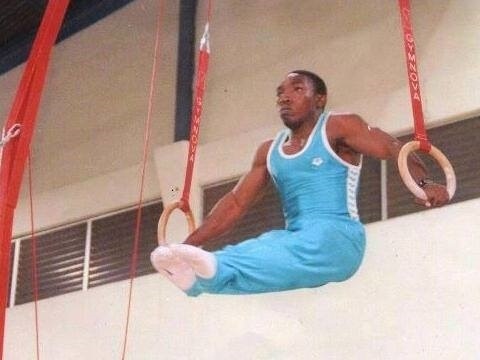 He studied anatomy in the university in Singapore and also became the first gymnastics coach in Nigeria to be certified with a coaching license by FIG ( Federation of International Gymnastics) to teach gymnastics.